The Kleen Machine Robotic Pool Cleaner is a robotic swimming pool cleaner that was designed to help both inground and above ground swimming pool owners keep their pools clean during the summer months. This durable swimming pool cleaner will scrub your swimming pool from wall to wall but it will also vacuum up all of the dirt and debris that can often be found on the bottom of the swimming pool. This swimming pool cleaner works best on both inground and above ground pools lined with vinyl, concrete as well as fiberglass. This robotic swimming pool cleaner comes with a built in pump and filter, this will save wear and tear on your existing pump and filter system. To effectively use the Kleen Machine, it is recommended that the machine be used on swimming pools up to 20’ x 40’. The machine has an extra large washable filter bag that is easy to clean. The machine has an anti twist cable which will help prolong the cord where others may become twisted and frayed. 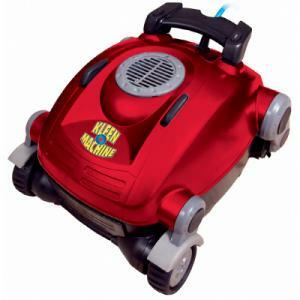 The Kleen Machine is lightweight and compact in size, the machine measures in at 19 inches in depth x 14 inches in height x 21 inches in width. The machine weighs in at 29 pounds. 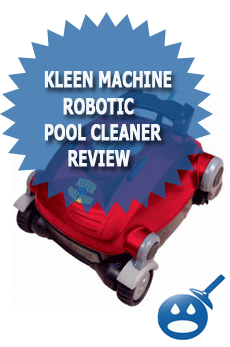 The Kleen Machine Robotic Pool Cleaner for Inground and Aboveground Pools comes with a 50-foot power cord. The Kleen Machine can clean your pool in a few short hours as well as save you money on operating costs. By using the machine, you can actually save up to 50% on the electricity that you would use as well as the backwashing costs. In addition, you can save money on the cost of the cost of your swimming pool chemicals. As the robotic swimming pool cleaner travels around your swimming pool, you can add chemicals and the machine will disperse the chemicals evenly through the swimming pool. The machine will also micro filter the water, this is equivalent to adding an additional filter to the swimming pool. 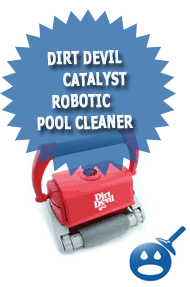 The Kleen Machine Robotic Pool Cleaner comes with a six month, one-year warranty. The best part is that there is no installation required. Simply plug in the machine and lift into the water. The machine does the rest. Swimming pool owners can save money on power as well as effectively and efficiently clean your swimming pool. You can find these machines at your local Home Depot or Walmart locations. The Kleen Machine is ETL listed and is fabricated in an ISO 9000 facility. The cost can range from $ 449.00 to $ 499.00. This company always produces great pool maintenance equipment. « Donna Simpson Eating Website But What Toilet?